For many many years Crayola has been the leading brand for coloring needs and back to school supplies. Crayola has been in business for over 100 years and the quality of their products speak for themselves. 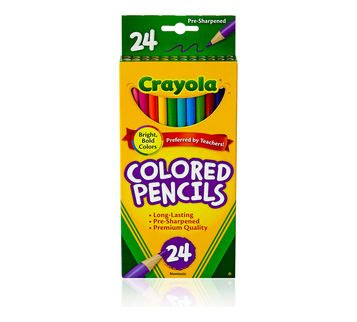 They have original Crayola Crayons that come in various sized boxes. I think when I was in school the 24 count was on my supply list. 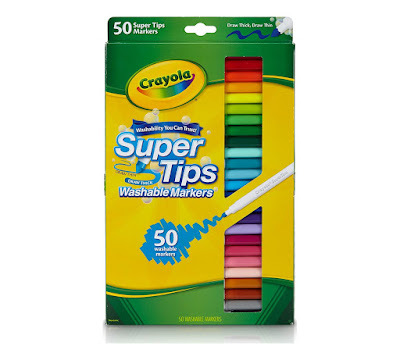 Crayola Crayons color smoothly and don't leave that waxy smear that some of the cheaper brands do. Then there's the colored pencils. You can use them for a variety of artistic variations, from coloring and bordering and lettering. Did you know that Crayola plants a new tree for every one used to make their colored pencils? Many different styles of markers are available from Crayola. The classic markers come in a variety brilliant colors and are long lasting. The Ultra-Clean Washable Markers are washable from skin, clothes, and now even painted walls. They are COLORMAX- a variety of innovations to reinvigorate classic Crayola products with the highest quality colors available today. 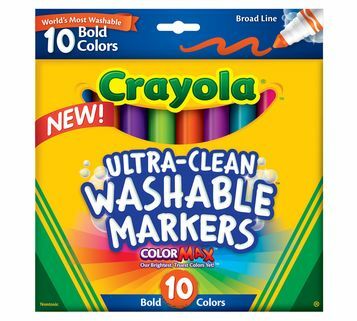 These are my favorite for the grandkids to let their artistic juices flow with haha. 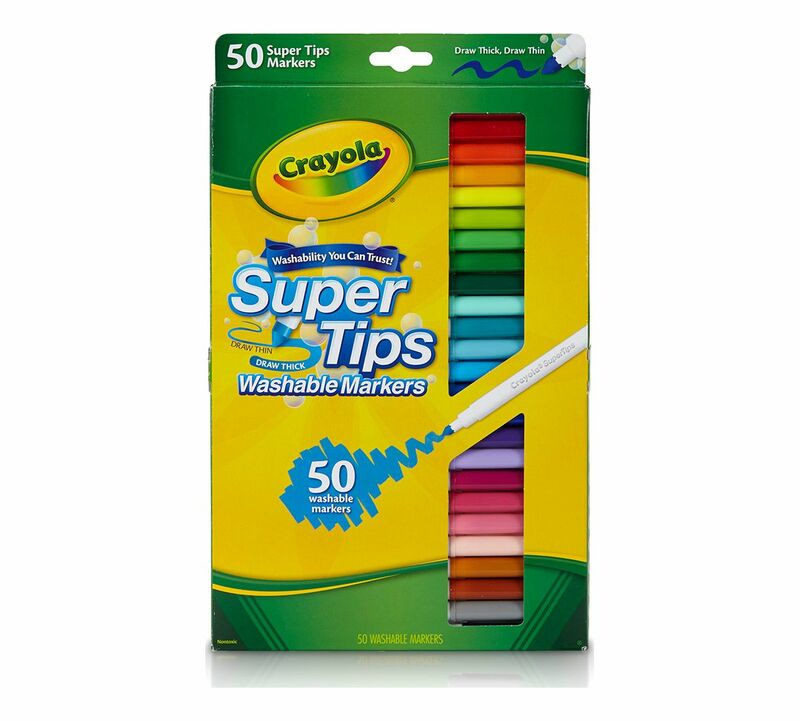 I really like the Super Tips Washable Markers 50 set. They have a conical tip that allows you to draw fine lines with the tip but broader lines when you use it at an angle. There's a beautiful array of colors in this pack. 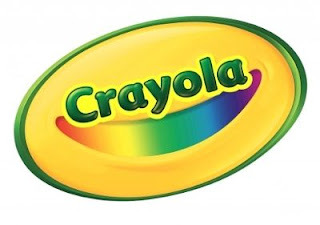 A few facts about Crayola, they use solar panels to provide the energy to produce one billion crayons and half a billion markers each year in the USA. They use recycled plastic in their products to keep hundreds of tons of plastic out of the landfills each year. I love that Crayola is continuously adding new products to their already wonderful , expansive product line. Something new is always in the works to encourage the artist in all of us at all ages. I still live to color and doodle. Are you ready for this? Now they have a line of Silly Scent products. 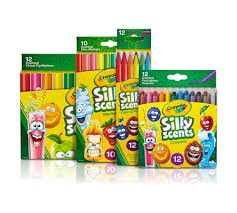 There's the fatter, chisel tip Silly Scent Markers, Silly Scents Twistable Colored Pencils, Silly Scents Slim Markers, and Silly Scents Twistable Crayons that come in different sized boxes. There's a variety of scents in each box and they all smell good. Crayola is a must have for the back to school season!